WITHOUT the Civic it’s arguable that the Honda automotive brand, as we know it, wouldn’t exist. The Japanese manufacturing giant’s roots were primarily in motorcycles – the Civic was its first motor car success. Today, the Honda Civic or ‘Shibikku’ is one of the longest-running and best loved models ever produced. Before the Civic, Honda had only produced 600cc two-cylinders. Its launch model the 1st Gen. featured CVCC (controlled vortex combustion chamber) and was available in three and five-door hatchback styles, as well as coupe and station wagon offerings. Honda’s next incarnation – the Civic S – focused on chassis improvements, promising a stiffer suspension set up, anti-sway bar and Michelin tyres for better handling. More than 10 years since its launch, the Civic was growing to become one of the most popular vehicles in history. Having unveiled its new CRX, Honda proudly demonstrated the Civic’s sport-compact prowess. The Si followed later and became the fastest Civic to date, while the Mugen 3rd Gen was so popular it was colloquially known as the ‘Wonder Civic’. In contrast, this was also the period that the Civic Shuttle ‘wagovan’ aka Breadbox surfaced. By the time the fourth gen. came along the Civic was fully refined – boasting fuel injection as standard, double-wishbone suspension and even offered four-wheel disc brakes. As Honda became more involved in F1, the technology inevitably trickled down into its road fleet. In 1989, the VTEC (variable timing and lift electronic control) system was introduced as a 1.6l VTEC incline four in the 1989 CRX. 150bhp was impressive – especially for the time – and the VTEC technology is still used today, 30 years later. 20 years on and by the 5th gen. the Civic has become the car of choice across – rally, track and tuning. This was to become the model that was more modified and revered than any other Civic. Cementing its race credentials, the EG Civic dominated the Group A Rally scene during the early 90s. 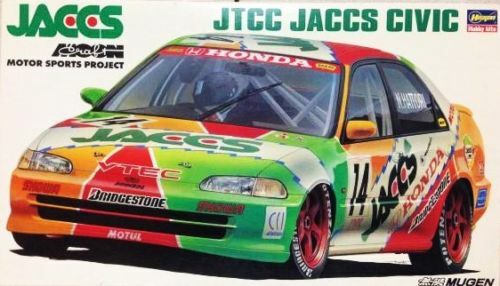 Honda teams Mooncraft and Mugen went head-to-head with their EG Civics creating a fierce rivalry until the Mooncraft JACCS won the championship in 1993. The US’s 1993 Honda Civic EJ1 gained more Civic fans via The Fast and the Furious franchise – the EJ1 was featured in the original 2001 film. The hype of the 5th generation was a lot to live up to and unfortunately the 6th incarnation fell short of the mark. Perhaps more interior space and a slightly improved ride just wasn’t going to cut it. Later on, the introduction of the Si coupe in 1999 and 2000 improved things with the development of the B16A2 powerhouse. The B16 engine was the first production engine to produce over 100hp per litre. This was also the time when the mighty Type-R first hit the streets to huge acclaim. The cult Type-R became an instant classic, further bolstered by an iconic appearance in video games like Gran Turismo 2. One of the first car manufacturer’s to throw its hat into the hybrid ring, Honda introduced the Civic Hybrid with its efficient 1.3-litre engine. A new Civic means new technology – the iVTEC engine is showcased in the Civic Si’s K20Z3. 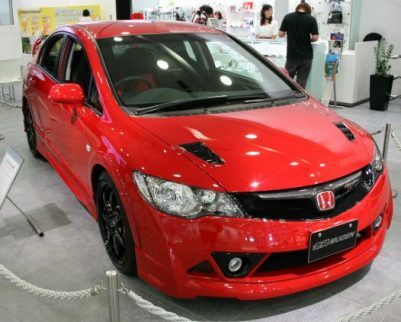 On the creative side – Honda works with Mugen to produce a highly-sought series of Type-Rs including the Mugen 2.2. Bigger is better right?! It’s no mean feat to reach a ninth incarnation of any vehicle; Honda celebrates by putting its biggest-to-date engine a 2.4l into the Civic. The Type-R is back! Along with Si trim options, a saloon, coupe and five-door hatchback on offer. The most recent generation of Civic focuses heavily on design and in-car technology. For those in any doubt of the Type-R’s ability, the hatchback left the competition standing when it put in an impressive lap at Nürburgring of 7 mins and 43.8 secs, making it the fastest front-wheel drive car at the time. Long-loved by tuners around the world, the Civic’s affordable price point and lightweight design make it an obvious choice for modifying. Nowhere more so than Osaka, where since the mid-80s, the Kanjozoku have raced distinctive race-ready Civics around the city. Despite its Japanese heritage, the three-door Civic holds a special place in the heart of Brits – having been built exclusively at the manufacturer’s Swindon plant since 2002. Over the years, the Civic marque has made history with record lap times set at Magny-Cours, Spa Francorchamps, Silverstone, Estoril and Hangaroring. And, of course more recently at the hallowed Nürburgring. Honda’s investment and commitment into the Civic has continued to pay dividends and shows no signs of waning yet. To date, there have been more than 19 million Civics sold across the globe.